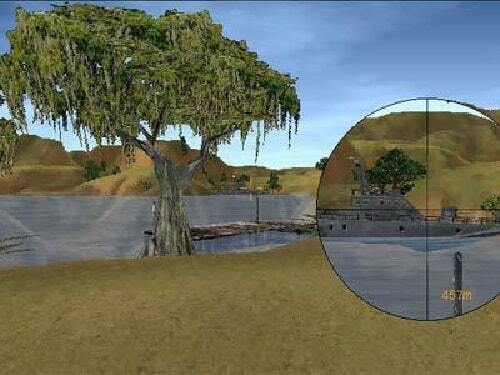 Delta Force 2 is a first person shooter with a keen focus on tactical elements. Released back in 1999 the game saw strong praise from critics and continues to be a somewhat cult classic. Players will enjoy two separate campaigns as am member of the USA Delta Force, an elite special forces unit that is the secret weapon in the army’s arsenal. Created to battle terrorism across the globe both of these campaigns follow this central theme, from stopping biological weapons in the hands of deadly militants to attempts to hijack nuclear wars. Similar to other FPS storylines these campaigns combine a large array of locations across the globe from South America to Siberia and even Antarctica. 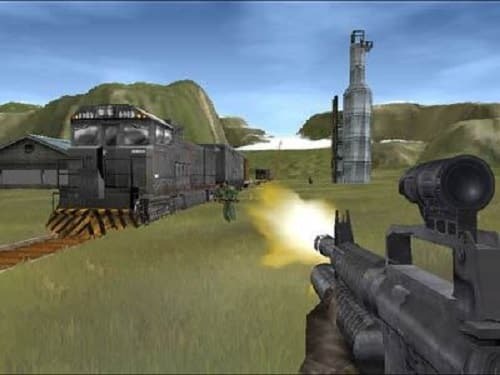 In terms of gameplay Delta Force 2 mixed infantry combat with tanks, helicopters and a handful of other military vehicles that one would expect to see on the battlefield. Similarly many of the weapons in the game are based on their real counterparts. Players can also control which weapons they bring into each mission which allows for all different playstyles to flourish in the campaign missions. Missions offer decent variety as well from rescuing hostages to defeating all enemies in a given location. You won’t be attempting these missions without the support of your other Delta soldiers though which is where the tactical elements of the game begin to shine. While the options are limited they add that extra level to the gameplay that puts it ahead of other FPS experiences. From command your troops to hold their current position or cease fire you have control over their movements. if you haven’t experienced this older tactical FPS and don’t mind an older game then Delta Force 2 won’t disappoint. Use realistic weapons and encounter a range of military vehicles. Includes two campaigns that take you across the globe. Choose your favourite weapon before each mission. Realistic bullet physics and health.